At the 2018 Paccar Dealer conference, Inland Truck Centres Wagga Wagga was awarded the Cummins South Pacific; Paccar dealer of the year for 2017. 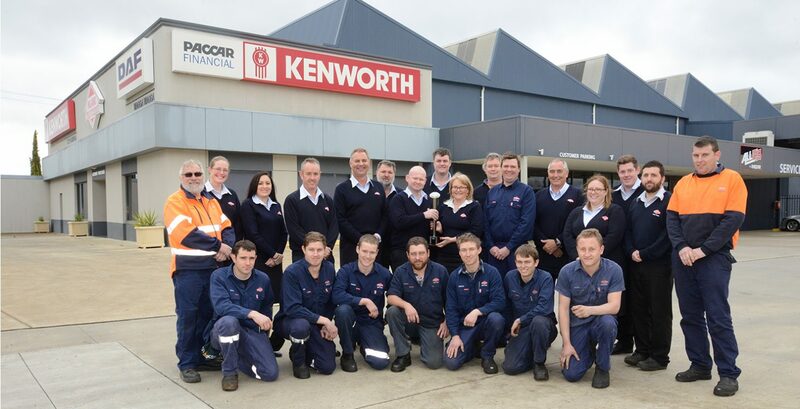 In accepting the award on behalf of all the staff at the Wagga Wagga branch the Dealer principal, Cliff Swane Commended all the staff for their excellence in Sales, Service and Parts and their dedicated support of our customers. “When you have an engine supplier that understands the rigours of Australian operating conditions as clearly as Cummins do it’s a pleasure to train your people and support the truck from bumper to taillights. We are particularly excited that the current X-15 engine platform will surpass the next round of emissions requirements without adding Exhaust Gas Recirculation” Mr Swane said. Adding we have had a great relationship with Cummins for over 30 years, they understand our business and we theirs.